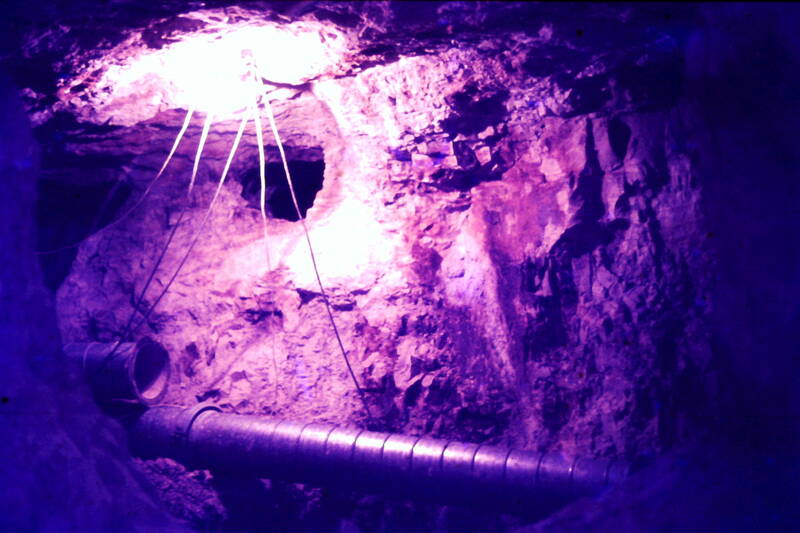 Prior to the introduction of drilling rigs to the Lightning Ridge region, nearly all mine shaft excavation and prospecting was undertaken by manual methods. The arrival of Calweld drills meant that a shaft about 1 metre (3 foot) could be excavated in a couple of hours compared to several days using hand tools. Today Calweld drills are used to excavate more than 99% of the new mine shafts created in the Lightning Ridge district each year. They range in diameter from 0.5 up to 2.0m, but most are 1.0m. Auger drills were introduced to the Lightning Ridge region in the early 1980s and as a result prospect drilling became quicker and cheaper than it had been previously using Calweld drills. A typical auger drill creates a hole about 23cm (9 inches) in diameter and up to 25m deep. Auger drilling has been the key factor responsible for the discovery of the vast majority of new opal fields since 1986. 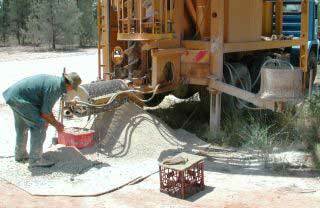 Auger drilling rig, Grawin opal fields, Lightning Ridge, 2001. The major weakness of auger drills is that they have frequently have difficulty in penetrating the upper few metres of rock which is commonly silicified (cemented) and very hard. 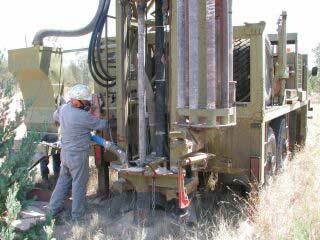 Since the early 1990s a number of opal miners have begun to use percussion drilling rigs which do not have this problem and can quickly penetrate silicified rocks. 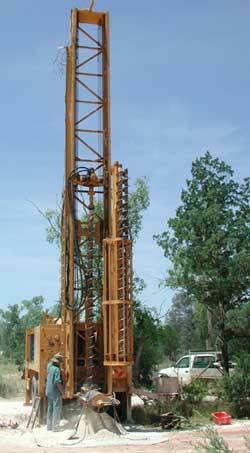 Percussion drilling rig, Coocoran opal fields, Lightning Ridge, 2001.